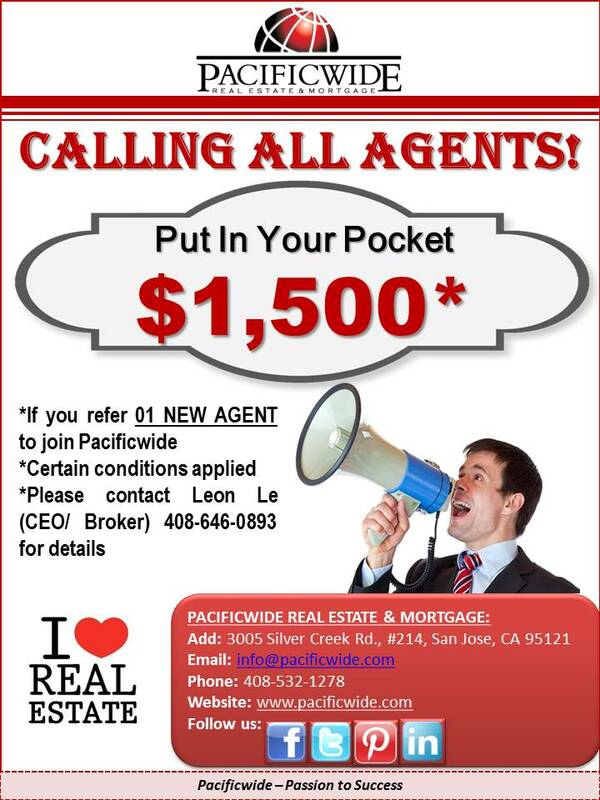 Put $1,500 in your pocket by referring 1 NEW AGENT to join Pacificwide! Everyone is qualified to refer. Please contact our CEO/Broker Leon Le (408-646-0893) or email leonle@pacificwide.com for more details!